Bought this in college when we decided it was mission-critical to make a rumcake. Boy was it tasty. Haven’t used it much if at all in the intervening years, and now I don’t even have a kitchen to store it in! I know some of you are baking fiends, so why not add a new and exciting cake-shape to your repertoire? 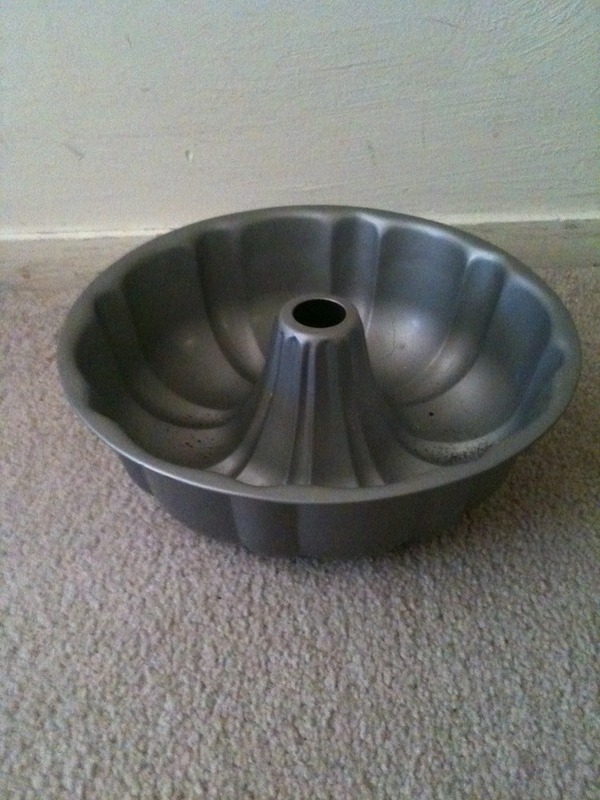 In full disclosure, this isn’t made by Nordic Ware, so it’s not technically a “Bundt Pan,” since they’ve trademarked the term. Hopefully I don’t get sued for trying to give this away.